since a special film, placed between two PET layers, assures a safe protection against UV rays and micro-organisms attacks. Besides this, these bottles are extremely light, resistant and fully recyclable. We are winemakers since two generations and we always have worked on the quality of our products. The care and the passion for the wine have been leading our daily work for over 50 years, always looking for the best quality and service for our customers. Our interest and approach to multilayer PET is the result of continuos analysis and lab tests which completely convinced us about the steadiness and safety of this material. Our multilayer PET bottles, available in two sizes - 375 and 750 ml - are extremely light (up to 8 times lighter than glass bottles) and they are unbreakable. They are therefore perfect for any situation which requires freedom in movement as picnic, concerts, events and journeys. 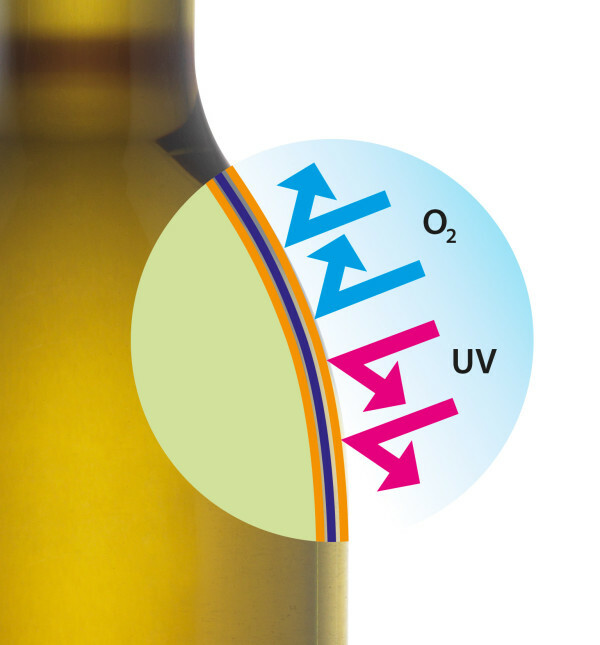 The special “barrier” technology of our PET bottles protects wine from ultra-violet rays and from oxygen coming inside keeping its organoleptic properties. In this way we can guarantee the preservation of wine and its taste up to two years from bottling*. Thanks to its light weight, the carbon track of PET is lower than the glass one during the whole Life Cycle. PET bottles can even be produced by using recycled PET. * The long-life of wine depends on the preservation in cold and dry places. The natural life of wine depends even on its structure and the wide variety of selected grapes. Are you interested in purchasing or need information?